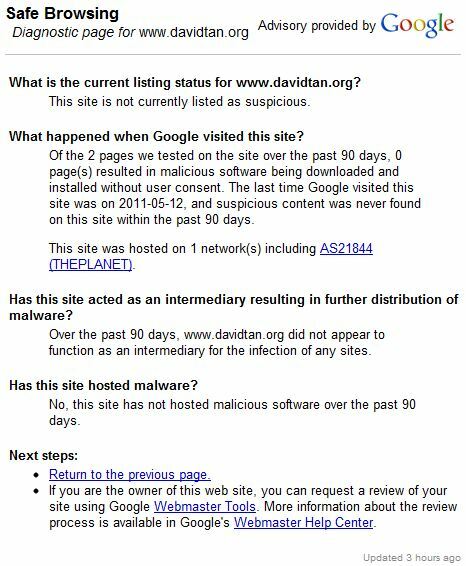 The test results for this site (as of writing) is shown below. *replace yoursite.com with your own web address. 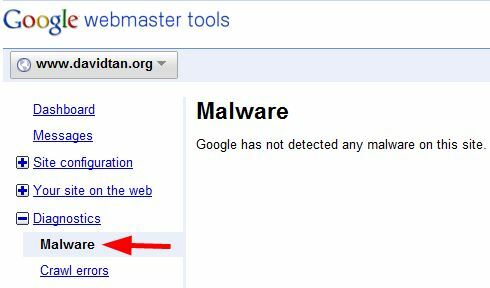 If you’re using Google Webmaster Tools (which every webmaster should be), there’s also the option to check your site for malware. Example shown in the image below.